Flood victims in North Queensland are being warned of the health risk from mould in their damp homes as the mammoth clean-up effort continues. Hundreds of homes have been damaged by rapidly-spreading mould on walls, curtains, soft furnishings, clothes and curtains. Queensland Fire and Emergency Services staff report mould is becoming worse. They say the area is beginning to smell in the tropical sun. Health officials said while mould can be merely a nuisance for most people, it is a serious health threat for some. "People who have a specific allergy, people who have lung diseases including asthma may react,” said Townsville Public Health Unit director Steven Donohue. He said people on chemotherapy or who suffer diabetes or kidney disease are especially at risk from mould. Health authorities advised that mould thrives in damp dark spaces. But sunlight and dry conditions are effective at combatting its bacteria and stop it spreading. Dr Donohue advised wearing rubber gloves and a mask, and using diluted vinegar on a rag or paper towel to clean up mould. Mould-hit residents can look forward to extra supplies of cleaning products heading to North Queensland. Supermarket chain Coles told nine.com.au it is sending extra cleaning materials to help people with the clean-up effort. 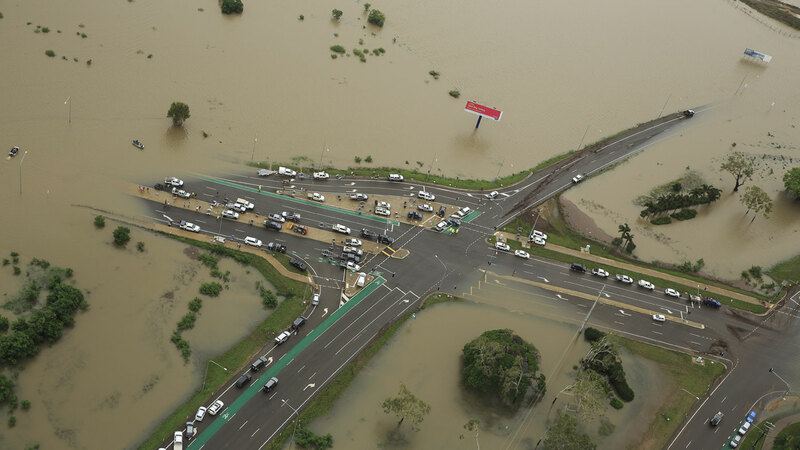 “Coles is stepping up deliveries of cleaning products including extra buckets, gloves and mops to stores in flood-affected areas so that people have the products they need to clean their homes as the floodwaters recede,” a spokesperson said. Woolworth is also sending extra supplies of cleaning materials to flood-affected areas. "We are sending additional supplies to help our customers," a spokesperson said.